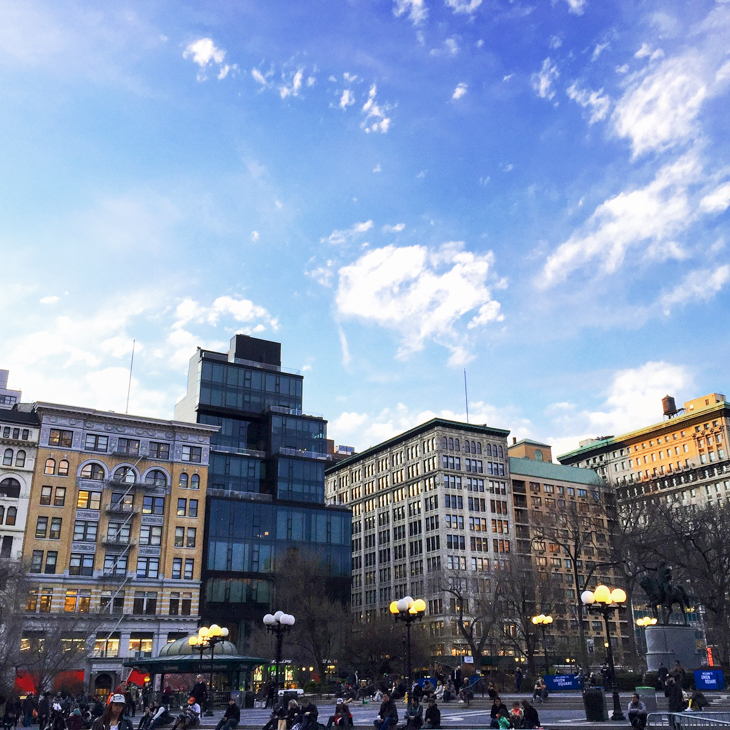 While West Village remains my favorite neighborhood in the city, the Union Square, Gramercy and Flatiron areas are where I felt most comfortable. 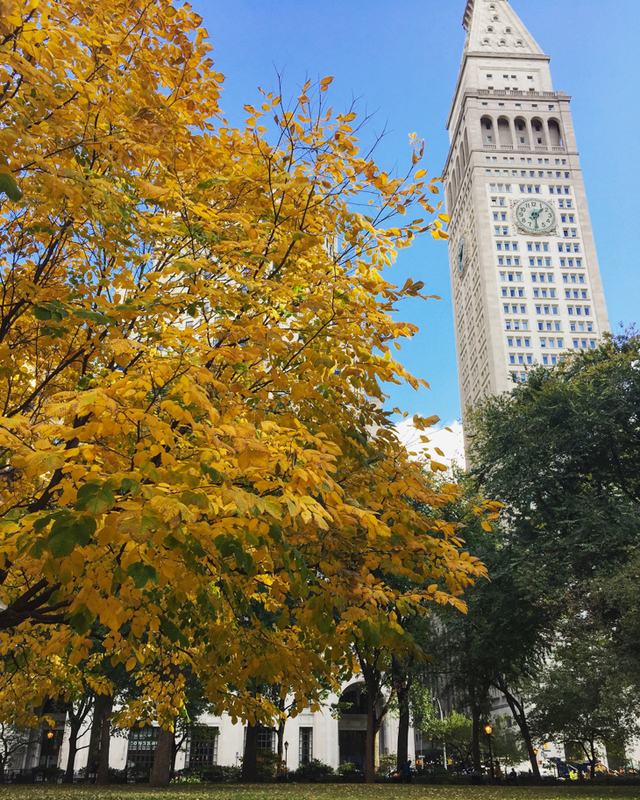 I lived in Union Square, interned just north of Union Square and worked for a year near Madison Square Park. I frequented the area for it's convenient, central location, and of course great food! ABC Kitchen – This chic, Jean-Georges restaurant has remained one of the most popular in the city for years, for good reason. The menu changes regularly to ensure seasonal, organic and local ingredients. To me, more exciting than the menu (although the food is of course tasty) is that it is located within the ABC Carpet & Home store in Flatiron. Housing some of the most beautiful interior pieces that everyone dreams of decorating their home with, it offers the restaurant an inviting, relaxed ambiance. 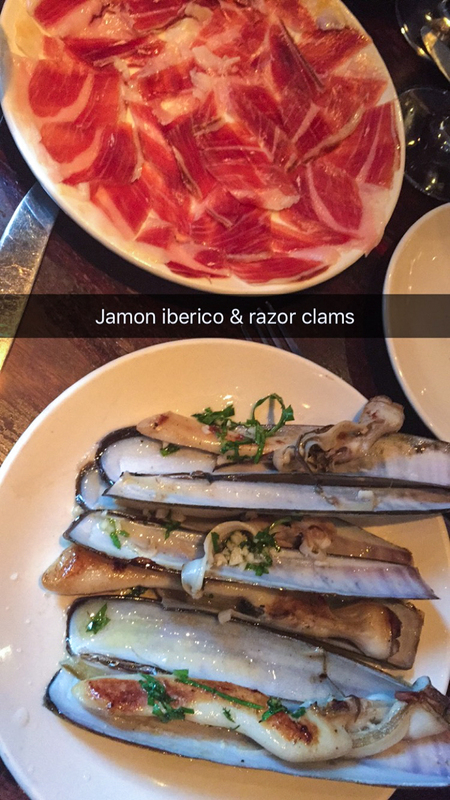 ﻿Boqueria – I haven't visited Spain (yet!) but I imagine the energy at Boqueria to be nearly identical to that of a traditional tapas bar. Lots of delicious food, sharing, laughing, and of course wine! It's a small space, but is somewhere you could easily stay for hours. Their croquetas and churros were especially delicious. Fun fact: This is the first restaurant I went to when I moved up to NYC for my internship – a nice way to cheers to a NYC address! ﻿The Coffee Shop – There is no better restaurant for people watching in NYC than the sidewalk seats at The Coffee Shop. I lived next door in the NYU dorms when I interned one summer, so I frequented this spot for all meals of the day. It is entertaining to say the least! 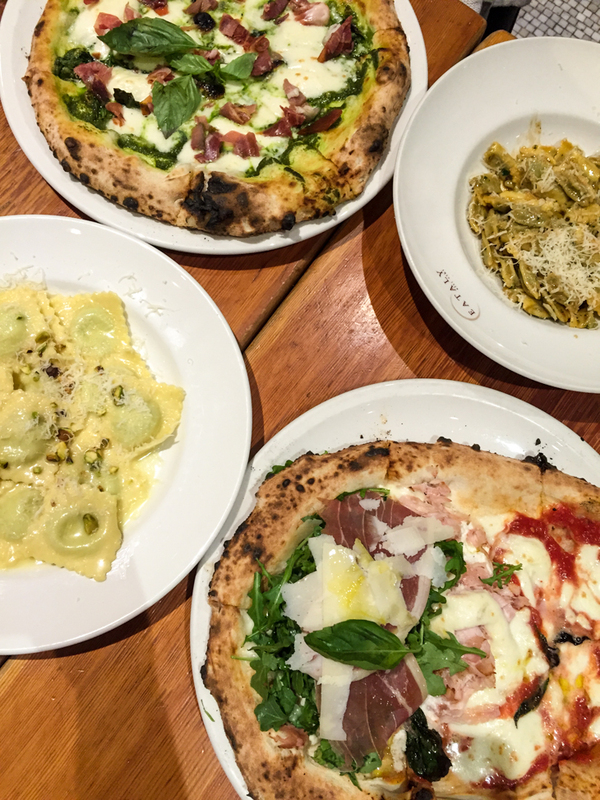 Eataly in Flatiron – This bustling Italian marketplace is a must-visit for anyone in NYC, evident by the constant crowds. It is packed with an array of cafes, counters and restaurants. Whether you stop in for a gelato on a hot summer day, shop for fresh pasta to cook at home, or order a pizza to share with friends, there is something for everyone! They also have a year-round rooftop and microbrewery that is called Birreria in the summer/fall, and Baita in the winter/spring. The decor and menu changes for each. Park Avenue Autumn/Winter/Spring/Summer – This restaurant takes seasonal to another level, with a completely redone interior and menu for each season. 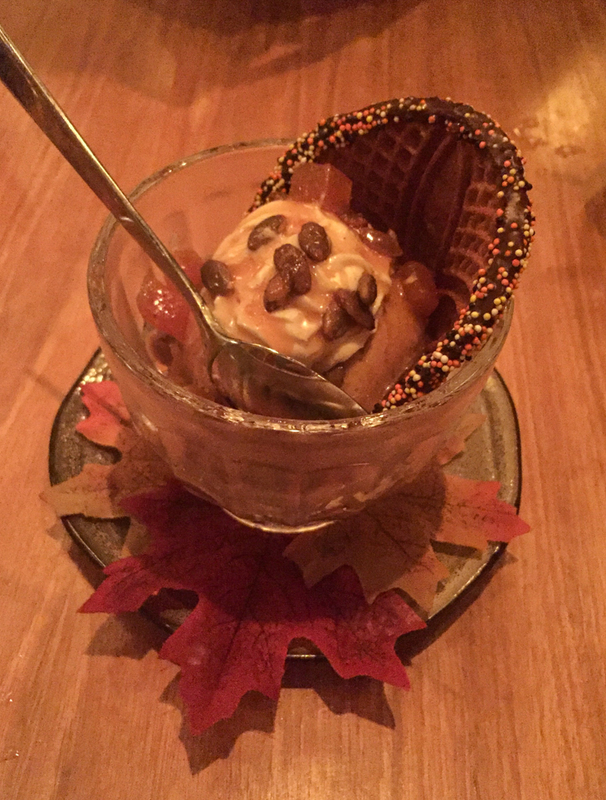 I visited in Autumn, where it smelled of cinnamon, the decor was in shades of red, orange and yellow, and the menu featured figs, pomegranates and pumpkin. The food is fantastic and they do a beautiful job. I love the concept, too! It is worth noting that they offer a pre-fixe deal in addition to offering a la carte from the menu, and surprisingly they don't require everyone at the table to participate in the deal, a standard practice at most restaurants. 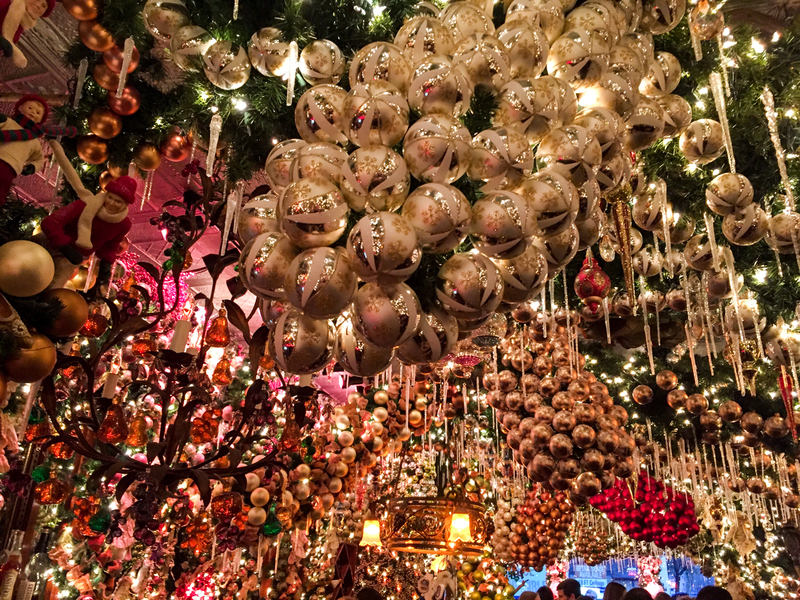 ﻿Rolf's – If you're feeling festive for the Christmas holiday, or need a boost to get into the holiday spirit, look no further than the extravagantly decorated German restaurant in Gramercy. They serve specialty holiday cocktails that are quite expensive (which I find reasonable given it's uber popular for the one month of December), and it gets very crowded, but it's worth experiencing at least once! I recommend the Spiced Egg Nog or Mulled Wine. Make sure to go at an off-time or at least early! Almond – This French bistro has a charming, rustic atmosphere and serves an updated take on French classics. On numerous occasions, I enjoyed their fancy frites (like rosemary, truffle and parmesan mmm), mussels, cheese and charcuterie, croque monsier, and the brussels sprouts salad (it is very good here, but not what I consider comfort food, ha). Note, the portions are generous! 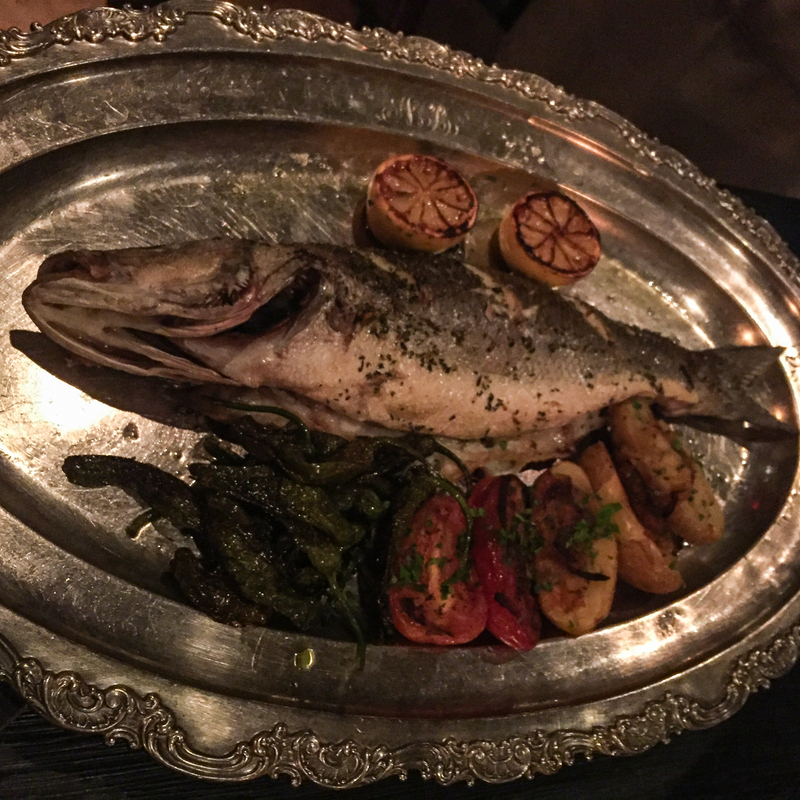 Barbounia – Speaking of big portions, I was blown away by how much leftovers I always have after eating at Barbounia! Maybe it's my Greek heritage, but I am always satisfied by Mediterranean cuisine, as simple as quality hummus, tzatziki and pita. They do it very well, as well as fresh fish dishes and more. 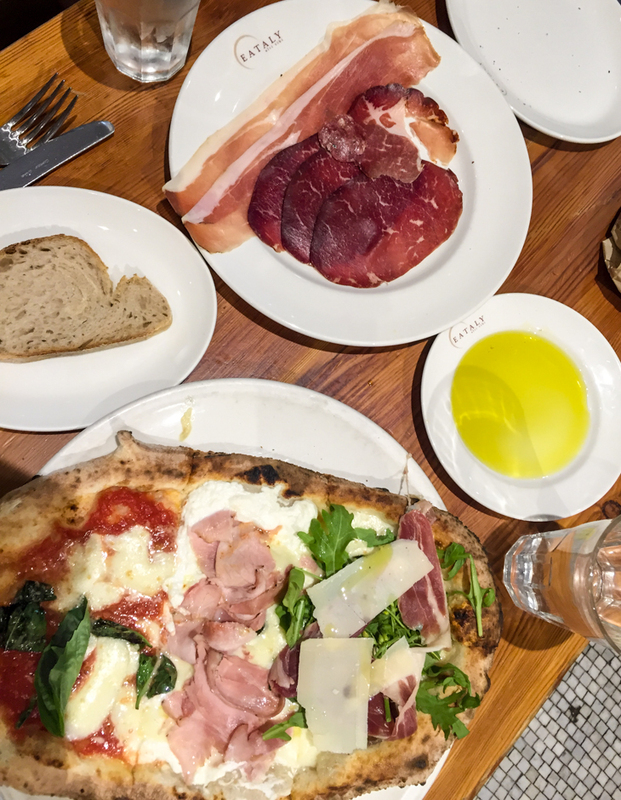 Maialino – Inspired by the rustic cuisine of Rome, this trattoria overlooking Gramercy Park is open for all meals of the day and has happy hour is from 5-7pm on weekdays. 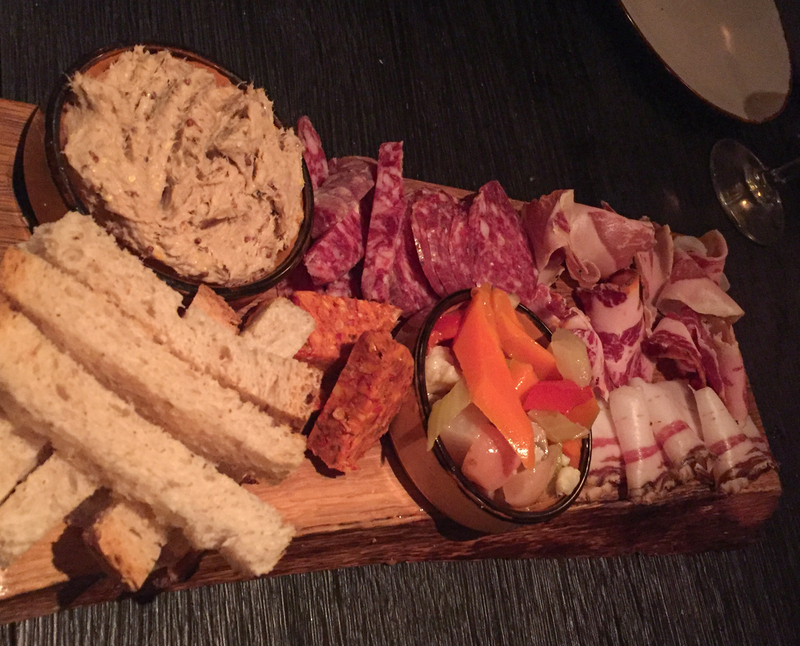 They have a great menu of cured meats, artisan cheeses, pastas, gelato, sorbet and more. I promise no matter what you order, you'll have a great meal! It's one of those reliable places. For a night cap in swanky ambiance, head over to Rose Bar, which is also located within the Gramercy Park Hotel. Novita – With authentic, homemade Italian cuisine, this restaurant is perfect for taking the parents to, catching up with friends or just about anything. 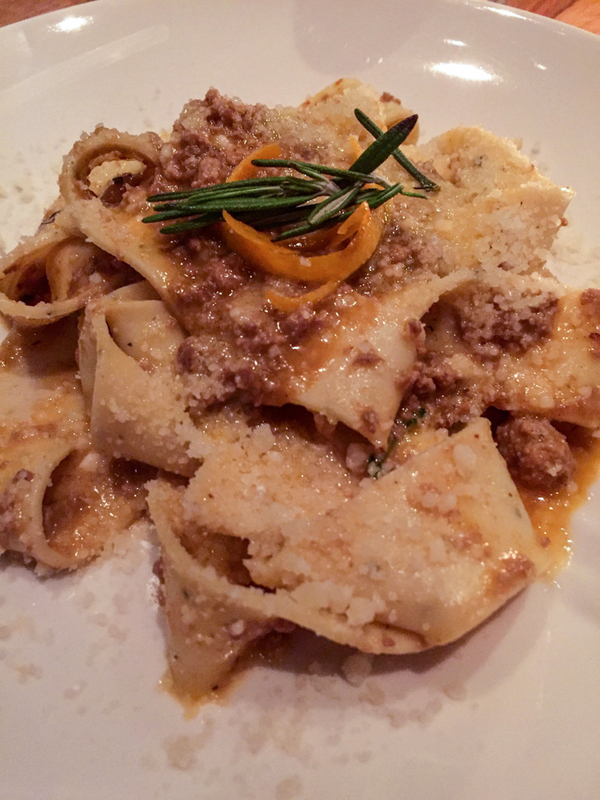 The service is fantastic and the food is SO good, specifically the strozzapreti al pesto and pappardelle lamb ragu! From my experiences there, I think it's underrated. Obica Mozzarella Bar Pizza e Cucina – Did you know that Obica has locations all over the world, including 10 in Italy?! I'll never forget how educated the service was here. I asked our young server a question, as I typically do upon ordering at any restaurant (I'm that person, but not because I'm picky or am trying to change anything), and I got a 10-minute response about where the ingredients came from! The table of at least six of us were mesmerized, and then suddenly 10x more hungry than we were when we first started ordering. 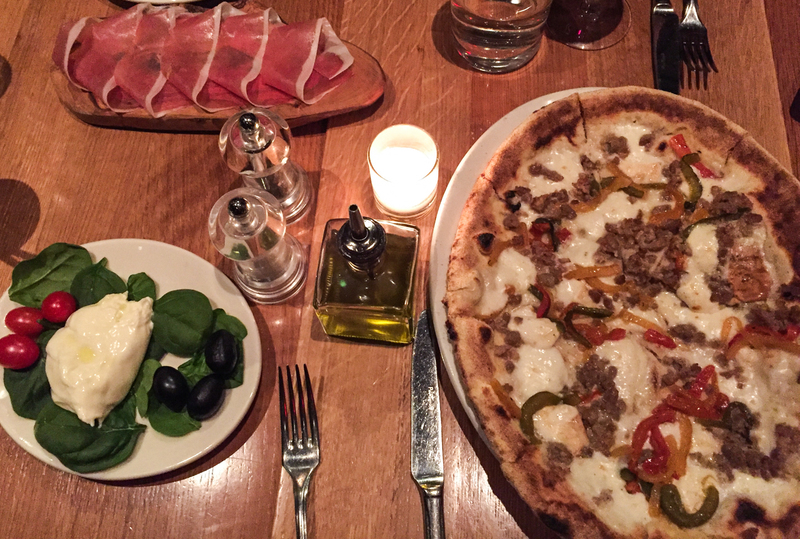 The burrata, pizza and pasta certainly did not disappoint. The House – Located within a restored 1854 carriage house, this restaurant exudes coziness, fireplaces and all. They had some of the most delicious lasagna and creme brulee I've ever had. 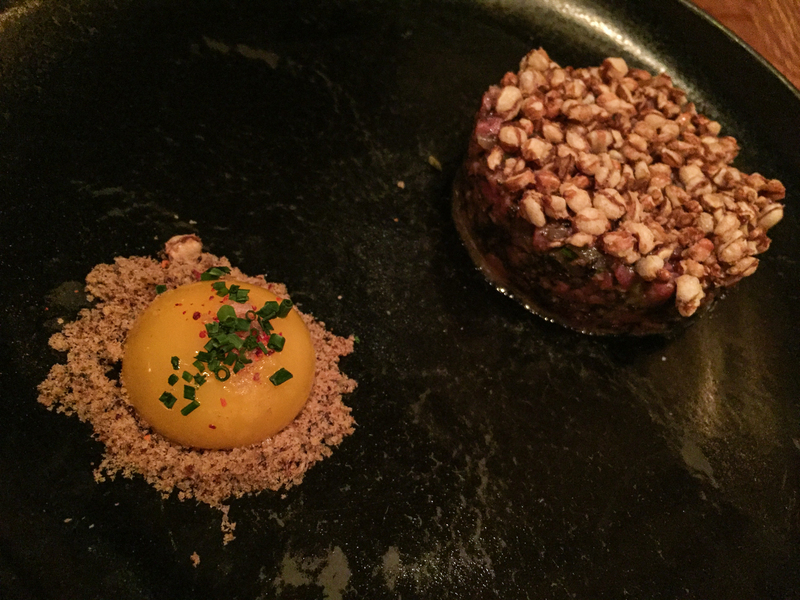 Upland – This California-inspired trendy restaurant had an amazing beef tartare and presentation. I also recommend their sausage and kale white pizza and cocktails. Yama – For a good quality, classic sushi restaurant that isn't expensive, Yama is a go-to. It is evident by the crowd of locals on a nightly basis. 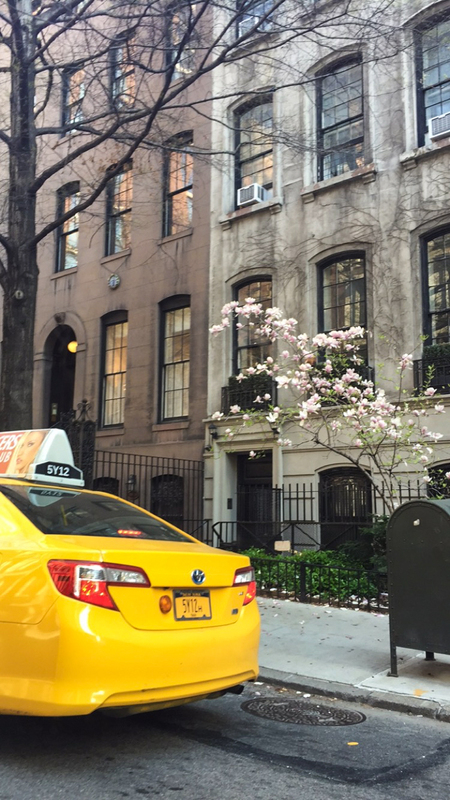 It's location tucked away at basement level in Gramercy doesn't hurt either. Aldea – Named after the Spanish word for village, this restaurant is inspired by the Iberian peninsula in a sleek, modern space with an open kitchen. It will forever be remember as the first place I ever tried uni (sea urchin) on their delicious sea urchin toast. Uni is certainly not for everyone from it's texture to color, but this was a great first experience of the delicacy for me! They also have a fantastic Spanish Octopus dish. Gourmet enthusiasts will appreciate that the restaurant has received a Michelin Star. Black Barn – This farm-to-table designed to look like a modern barn serves artisanal, locally sourced dishes. 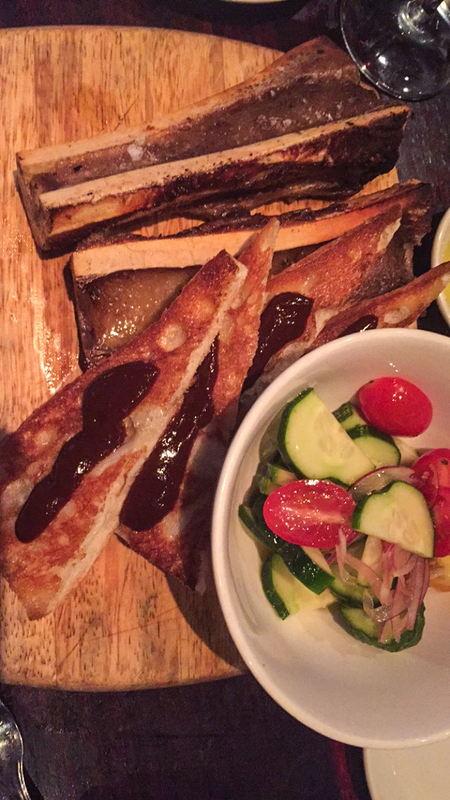 The mangalitsa charcuterie and grilled branzino for two were stand-outs from my experience. The Boozy Blues Brunch is fun too, and much more casual. 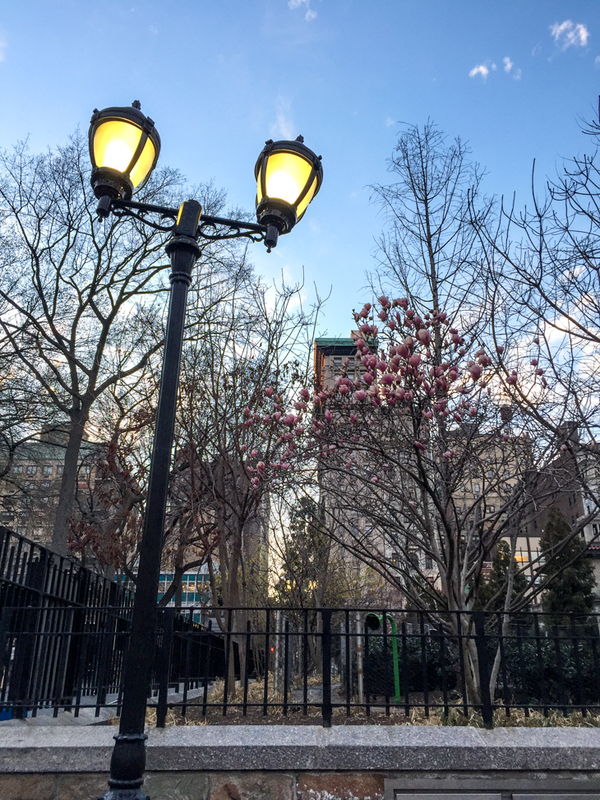 The location of this restaurant is so convenient at the north end of Madison Square Park. 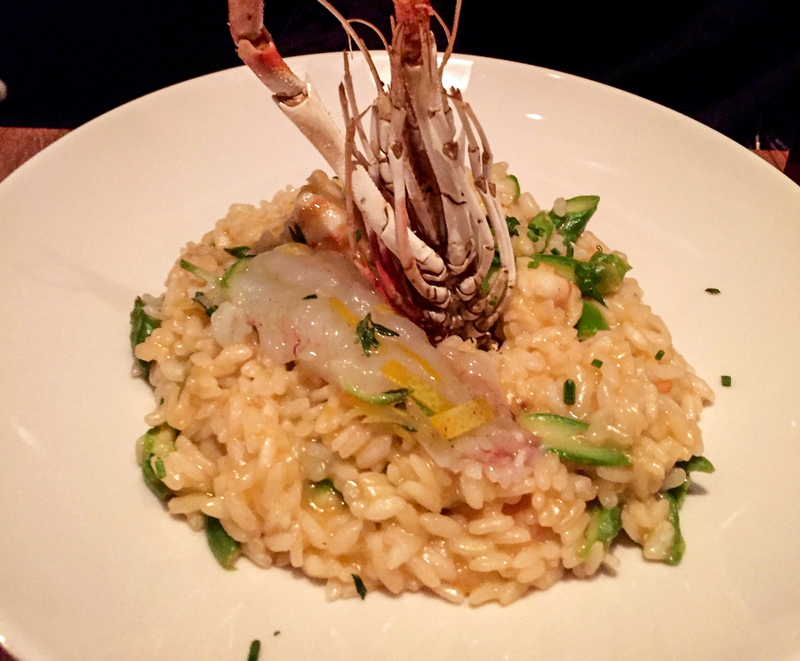 Casa Mono – This Michelin-star restaurant by Joe Bastianich (any fellow Master Chef fans?!) serves generous tapas offering complex flavors and unique pairings inspired by the cooking of Spain’s Costa Brava. The duck egg with black truffles was to die for. I also enjoyed their Long Island striped bass with peaches, razor clams, bone marrow, Jamon Iberico and Mussels with Chorizo. This is a place you will have that big-eyed moment with your dining company over how good the food is. Raines Law Room is my favorite speakeasy in the city, though it's a close call with a few others. 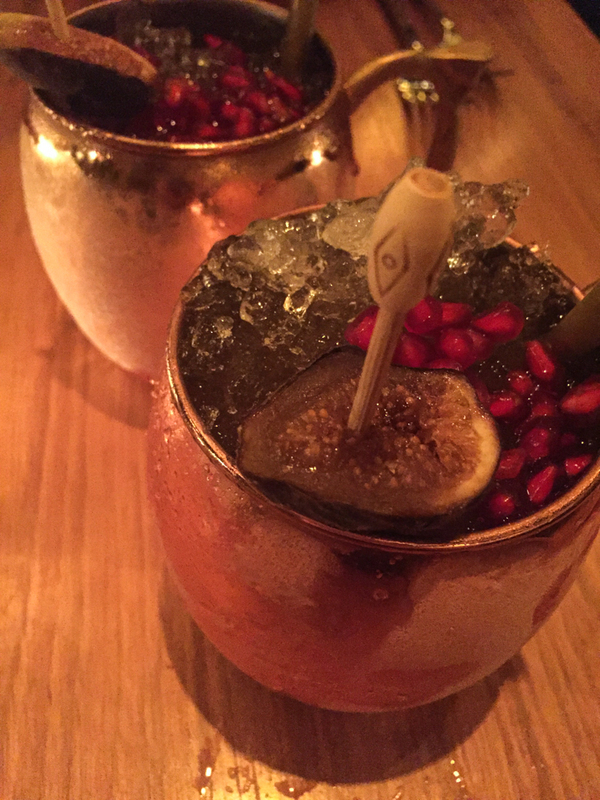 I will cover it in more detail in a NYC cocktail round-up soon, but I felt obligated to mention it in this post should you try out any of the above restaurants, particularly those in or near Union Square. Old Fashioned aficionados, this spot is a must. ﻿Dear Irving, from the Raines Law Room team, is a popular date spot that is located a block or less away from Casa Mono, The House and Yama mentioned above! 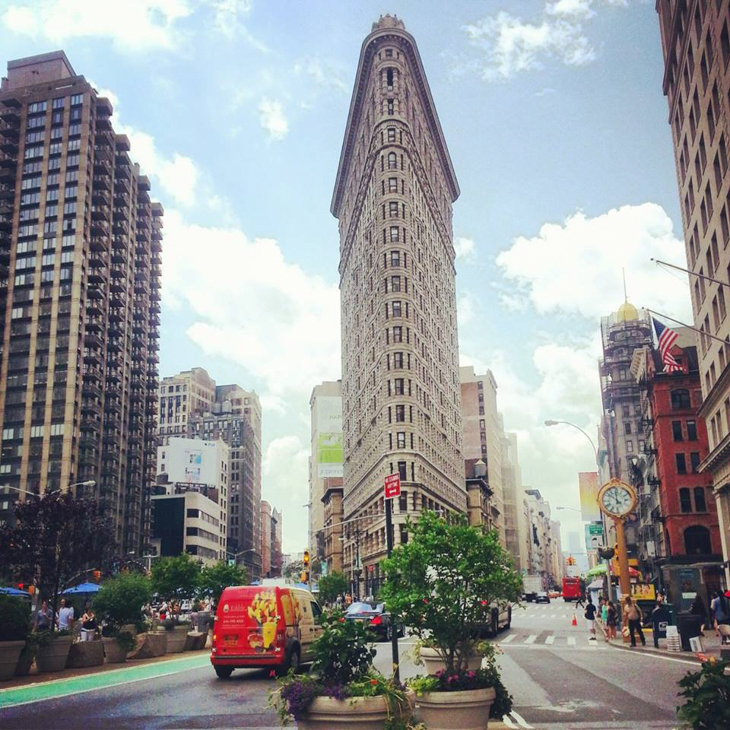 What are your favorite restaurants in these popular neighborhoods? 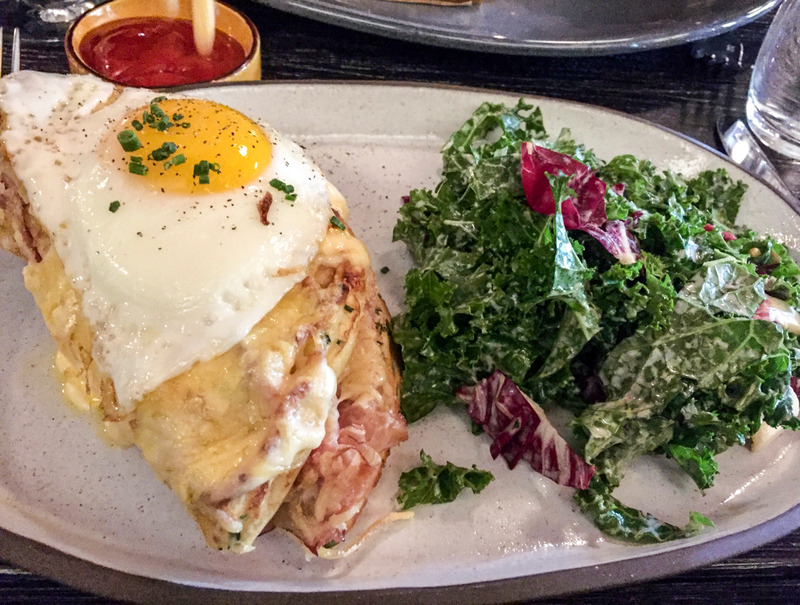 This lively bistro serving French comfort food in a rustic setting is popular for brunch. Big portions of fresh sashimi & creative rolls are served at this bustling basement-level sushi bar. Modern Mediterranean fare emphasizing Iberian Coast flavors in a sleek space with an open kitchen. Small-plate fans gather at this intimate Gramercy nook for upscale Spanish fare & a deep wine list. 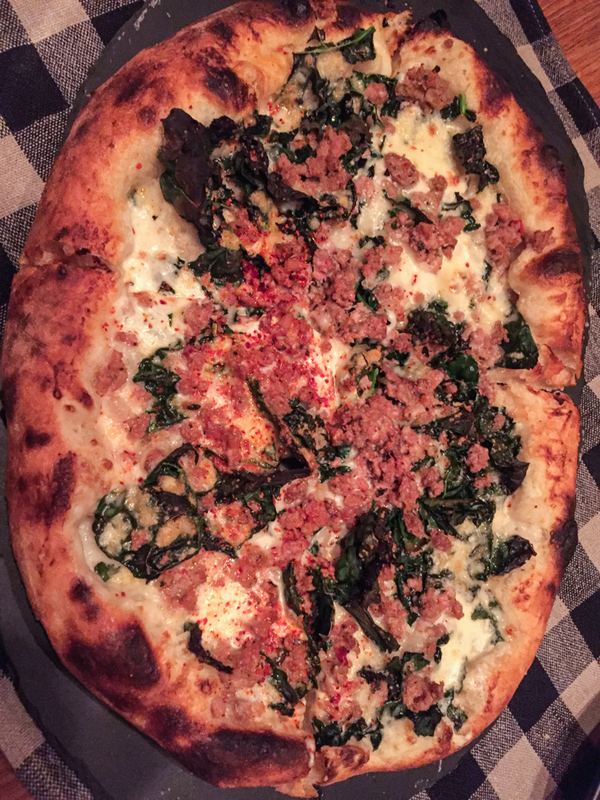 Casual Northern Italian restaurant in a cozy, warm space with sidewalk seating available. Spacious, casually chic brasserie with hearty dishes featuring Californian & Italian influences. Upscale New American restaurant spread out over 3 elegant floors of a restored 1854 carriage house. Spacious Italy-based mozzarella bar serving pizza, pasta & small plates plus cocktails, wine & more. Barcelona-style tapas & a deep menu of Spanish wines can be shared in this compact, busy spot. Chic, bustling Mediterranean spot with dining room arches & an unlimited-champagne-cocktails brunch. 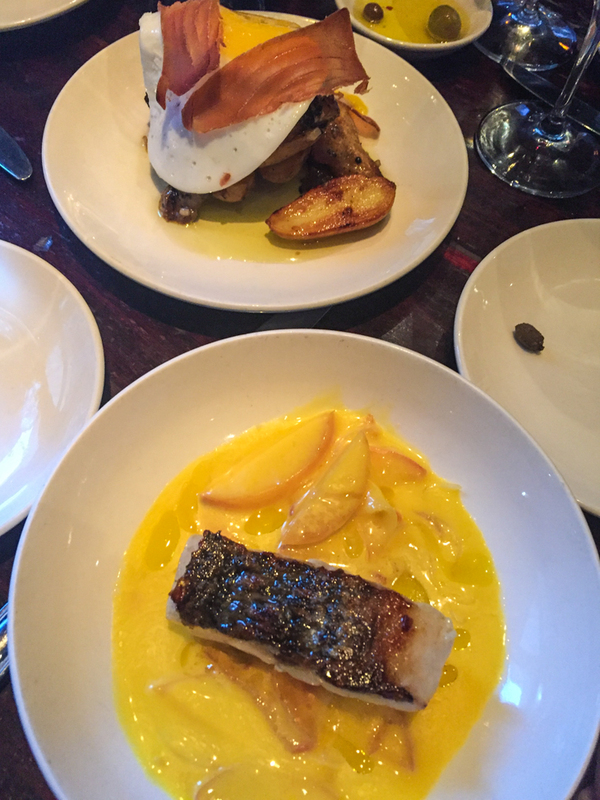 Chic New American eatery via Jean-Georges sourcing local, organic ingredients. Brazilian-American eats & a late-night scene, with sidewalk seats for Union Square people-watching. Large restaurant whose modern American menu & decor completely changes with the seasons. Branch of the famed Italian market, offering counters, restaurants & cooking demos. Cocktail parlor with fancy drinks & elevated bites in an upscale space with a time-traveling theme.